“Paleo” diets are all the rage, attracting athletes, dieters and health seekers of all stripes. The basic premise of the new “paleo” diet is simple – what humans ate in pre-agricultural, paleolithic times is the diet that is best suited to our genetic make-up. Although, we cannot assume that what our relatively short-lived ancestors ate is necessarily “optimal” for humans living three times longer, let’s assume that a true paleolithic diet is optimal. Nutritional anthropologists have studied true paleo diets extensively. The diet essentially consisted of wild plants and wild animals, the balance of which varied with location, season, hunting and gathering skills, available tools, and so on. Pre-agricultural peoples did not consume oil, sugar or salt, anything from a box or bag, fast foods or the milk of other mammals. Today’s new “paleo” devotees attempt to copy the diet of our ancestors by eating meat, poultry, fish, eggs, vegetables, fruits, nuts and seeds. Processed foods, grains, legumes and dairy products are avoided. Followers naturally believe that the nutrient content of new “paleo” diets approximates that of true paleolithic diets, but they are mistaken. As it turns out, vegan diets have more in common with true paleo diets than do the “new” paleo diets. While this may sound like a bit of a stretch, we did the math. 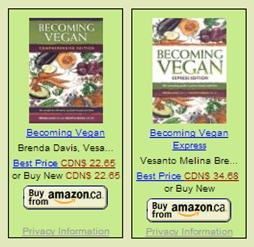 We compared 3 days worth of recommended “paleo” menus (from a popular “paleo” website) and 3 days worth of recommended vegan menus (from Chapter 14 of Becoming Vegan: Express Edition). Then, we compared the average daily intakes from each eating pattern with those estimated for true paleolithic people, adjusting for energy intakes. The results are summarized in the table below. Nutrients and other dietary factors that come closest to the pattern of true paleolithic diets are highlighted (pink for new “paleo” diets and green for vegan diets). 1. DRI = Dietary Reference Intakes (Based on adult males and adult non-pregnant, non-lactating females). 2. New Paleo intake was based on the average of 3 days (Wednesday, Thursday and Friday) of recommended paleo menus from the Paleo Plan website (paleoplan.com/resources/sampler-menu-meal-plan/), adjusted to 3000 calories. The ESHA program was used for the nutritional analysis. 3. Eaton SB, Eaton SB 3rd and Konner MJ. Paleolithic nutrition revisited: a twelve-year retrospective on its nature and implications. Eur J Clin Nutr. 1997 Apr;51(4):207-16. 4. 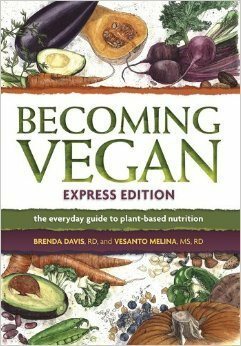 Vegan intake is based on the average of 3 days (1600, 2000 and 2500 calorie) of menus from chapter 14, adjusted to 3000 calories. 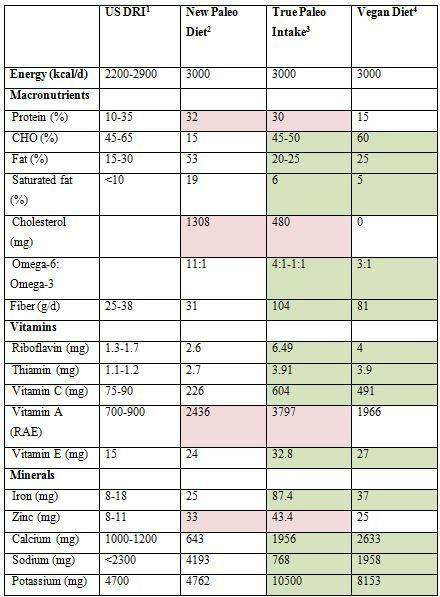 As you can see, new “paleo” intakes of protein, vitamin A, and zinc are closer to the true paleo intakes than are vegan intakes, and cholesterol intakes are almost triple that of true paleo eaters. However vegan intakes of fat, saturated fat, carbohydrate, fiber, riboflavin, thiamin, vitamin C, vitamin E, iron, calcium, sodium and potassium are all closer to true paleo intakes than are new “paleo” intakes. Compare the total and saturated fat intakes of the true and new paleo eaters – over 50 percent of the calories in the new “paleo” diet come from fat, and 20 percent of calories come from saturated fat. In other words today’s “paleo” wanna-be’s consume twice the fat and over three times the saturated fat of true paleolithic people. Fiber intakes using the new “paleo” menus are about 30 grams per day in a 3000 calorie diet. 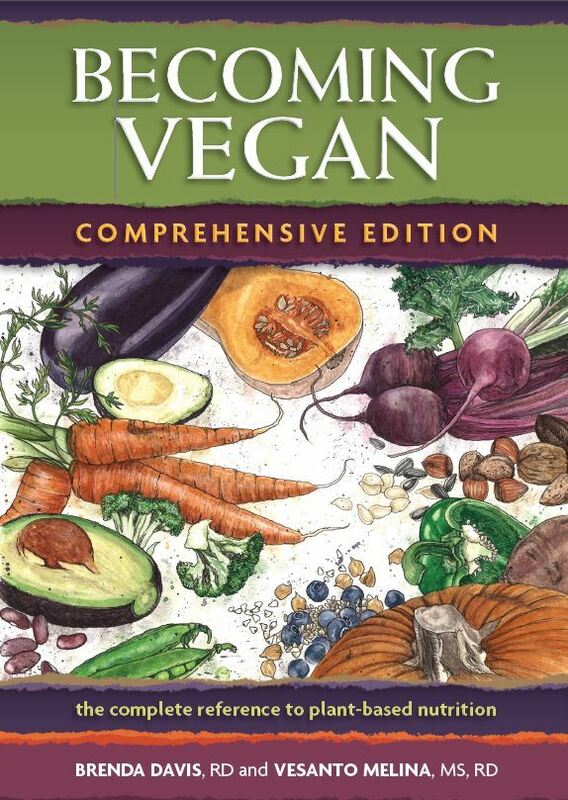 The vegan menus provide just over 80 grams of fiber in a 3000 calorie diet. Even the 100 percent plant-based vegan diet falls short when compared to the 104 grams of fiber consumed by our paleolithic ancestors, who clearly ate plenty of plant foods! Why does the new “paleo” diet fall flat on its face when compared to the true paleo diet? After all, they both consist of meat and plants while a vegan diet is just plants. There are two main reasons. 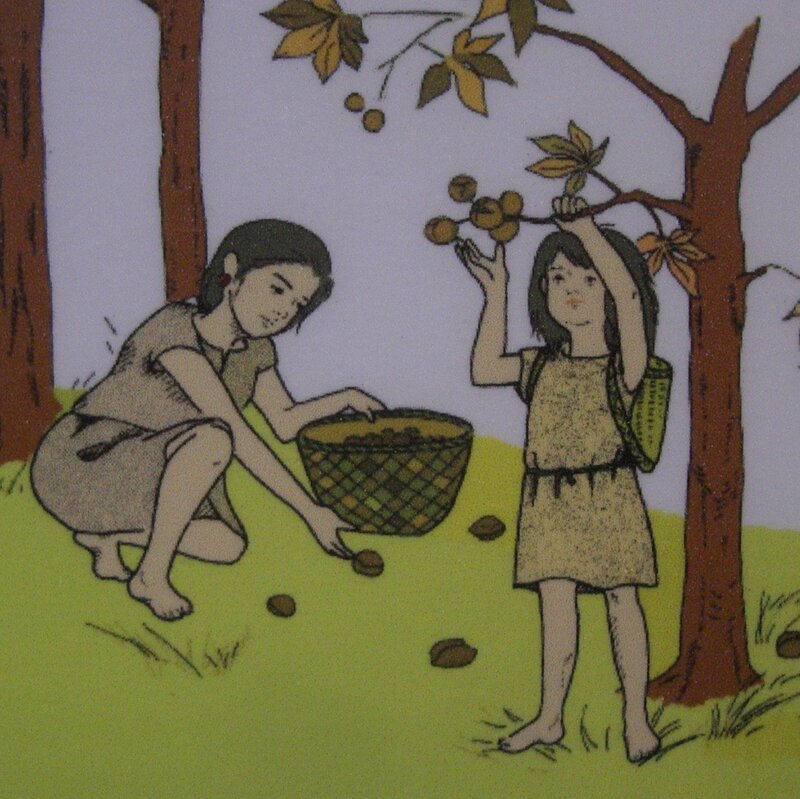 First, it seems that true paleolithic people were mostly gatherers-hunters, who ate a huge volume of plant foods. Today’s “paleo” eaters lean more heavily on animal products. In addition, meat and vegetables consumed today are very different from those eaten in paleolithic times. Meat from domestic animals, even those labeled “grass fed” or “free-range” is far higher in fat (40-60% of calories from fat) than meat from wild animals (6-16% of calories from fat). Commercial plants have been selectively grown to higher in sugar and lower in fiber than plants are in the wild. The new paleo diet is a very poor attempt at imitating the diet of early man. Even if the true paleolithic diet was optimal for human health, and we could effectively recreate it, a diet is only “good” for the human species if it is ecologically sustainable and ethically justifiable. The human population has exploded from a few million in paleolithic times to over 7 billion today. This dietary pattern ignores the environmental crisis that makes eating lower on the food chain an ecological imperative. If everyone lived and ate the way Americans do, we would need 4 planet earths (WWF, Living Planet Report 2012) to sustain the current population. If everyone ate “paleo”, we’d likely need 10! The “paleo” diet also ignores the ethical issues associated with increased demands for food animals. While most “paleo” eaters promote consumption of wild animals and free-range, grass-fed animals, these products are in limited supply and are expensive, so many eat meat from conventionally raised animals. Of the 11 billion animals we kill for food in North America every year, about 95% are raised in factory farms. If everyone ate a “paleo” diet, the consequences for animals would be incalculable. Thank you for addressing a currently popular dietary approach and comparing it with a vegan diet. I have been eating a vegan whole-foods, plant-based diet for over two years now and although I have heard about the paleo diet I have not yet taken the time to look into it in more detail. It can take a lot of time and effort to wade through all the information, arguments and controversies that surround our understanding of a healthy diet. For those of us who are fortunate enough to have the time to ponder these things instead of wondering where to get our next meal, this article will help to highlight information that is relevant to our world today. Thank you. Thank you for the great information about The Paleo controversy. I have noted that a great majority of athletes who train at Crossfit training centres adhere to this NEW Paleo philosophy. Unfortunately many of these athletes seem to be sporting attractive physiques to go along with their new found stamina, this possibly promotes the fade Paleo diet. I can’t help but to notice that the NEW Paleo diet is very similar to the OLD staple bodybuilder diet, thus it really is just packaged different and sold to a NEW crowd. 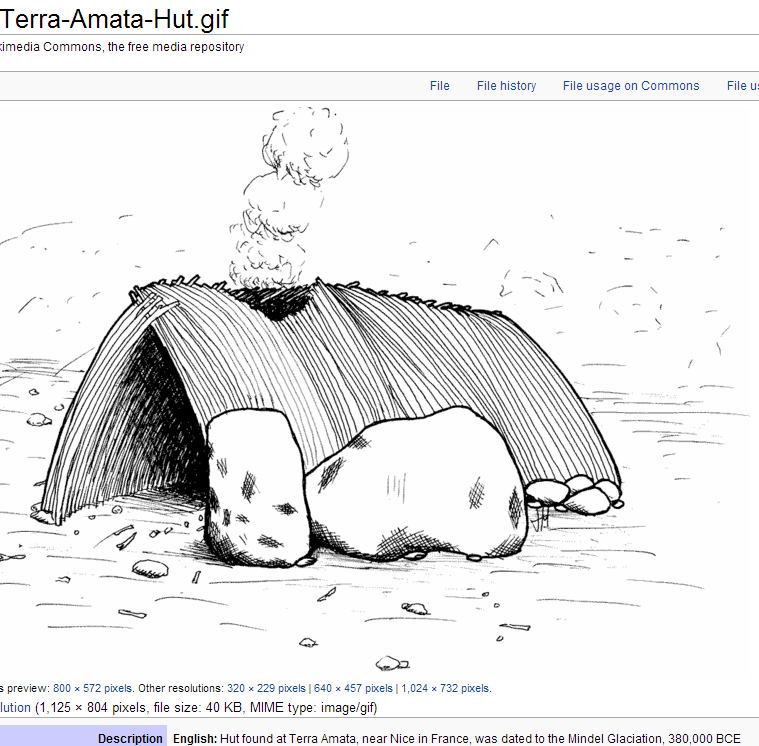 Anyway… That’s my opinion and once again thank you for the great research based evidence that disproves The NEW Paleo mythology.